View the Leader Kit here which has the items required to facilitate the course. Customize this flyer to use as a bulletin insert or newsletter ad. Post around the area to announce your study. The Lord's Prayer is among the greatest treasures of faith. 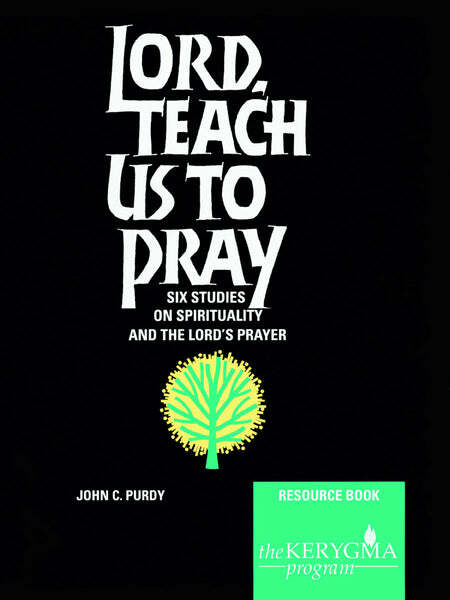 This study explores the key phrases of the Lord's Prayer as they lead us to greater spirituality and growth. Keeping Our Distance: How close can we come to a holy God? Crossing To the Future: What is the Kingdom and what is the Kingdom yet to come? Willing Obedience: How can we glorify God in our daily lives? Feeding Ourselves: What place does self-sufficiency have in Christian life? Writing it Off: What does the reality of our forgiveness say to our treatment of others? Crying For Help: How does a Christian respond to the enormity of evil in the world?